Is your real estate agent holding an open house in hopes of selling your place? Don't forget to put those chocolate chip cookies in the oven! Oh, and then turn those ceiling fans to low so the delicious aroma stays in circulation. A classic finding in consumer behavior research is that odors influence buying behavior. When a smell hits our brain, it starts out its processing in the limbic system, which is one of the most primitive parts of the brain. We—and the people who shop with us—make decisions instantly and unconsciously based on smells. As it happens, the chocolate in those cookies gives an extra kick because the brain neurons it sets off are associated with sexual pleasure. Now don't get me wrong. Smell's not enough to close the sale all by itself. Even the best perfume or cologne has to be backed up with the goods in order to move a relationship forward. But smell does set the groundwork. And it's not only with smells we think of as alluring. For instance, researchers find that sales of cleaning products go up significantly when a faint fragrance of Formula 409 wafts through the area. The key word in that last sentence is faint. Make the odor of cleaning liquid, perfume, or even cookies too strong, and the customer might faint. And then there are the smells in a store that at any strength will chase off shoppers. How about the air around a dirty restroom? As you and your staff walk the aisles, breathe freely and deeply. Your store has one chance to make a first impression. Be sure that first impression is rosy. Well, unless your shoppers are allergic to roses. In Making Money Is Not Illegal, Immoral, or Fattening, Art Freedman and I praise open-ended questions. An open-ended question is one that asks for more than a yes, a no, or a choice from limited alternatives. "What may I help you find in the store today?" is an open-ended question. "May I help you?" is a closed-ended question. Continually coach your salespeople to ask open-ended questions when welcoming a customer. The question might be, "What project are you working on today?," "Which aisle may I take you to?," or "What did your husband think of those earrings you bought last time you were in?" If you ask a customer, "May I help you today?," chances are they'll instantly say, "No," and that gets in the way of you serving the customer. People coming into your store are there for a reason. 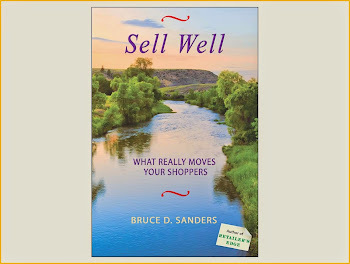 When that reason is to consider making a purchase, the open-ended question lets the sales staff discover how to complete the sale most effectively and efficiently. Of course, there are many other reasons the customer might have walked into your store, aside from wanting to make a purchase. An open-ended question like "What may I help you find in the store today?" is also useful then. The customer's answer could be, "Show me where the men's room is" or even "Sure. Point me to a place to sit while my family is spending my money." In answering those questions for the customer, you've opened up a service relationship, and those kinds of relationships build store profitability in the long run. When your staff ask open-ended questions, it shows a recognition of the customer which is more than just in passing. Keeping current customers coming back for more is essential to the success of your business, and a good amount of research says it's less expensive to keep a current customer than to win over a new customer. Still, for your retail business to thrive, you must grow your customer base. Fortunately, it's not either/or. Suppose a current customer tells you how much they like a product or service you've sold them. You might say, "Please be thinking about other people you know who also would like it, and I hope you'll recommend they come in. May I give you a few of my business cards in case they want to ask for me?" When a happy customer refers you to others, you not only get a new prospect, but the customer making the recommendation builds commitment to you. But what if the current customer HATED the product or service? Well, your first task is to make it right with a refund or exchange. Next is to discover why it happened. Researchers from University of Michigan and McGill University found that people who dislike a product or service often are surprisingly open to the idea that people they know would LOVE it. If a customer is dissatisfied because they found the product or service to be defective, it's insulting to ask them to think of who else might want to buy it. On the other hand, if the problem was a matter of taste, it can work to say, "I understand why the product was a bad fit for you. Now that you're more familiar with it, you might know of some people who you think would like it. If you decide it could help them out, I'd very much appreciate you telling them the product is available here." Category Killer retailers stock a broad range and depth of merchandise in a specific category. For Best Buy, it's consumer electronics. For Borders and Amazon.com, it's books. For Zappos.com, it's shoes. You don't need to have hundreds of locations to be a Category Killer store. With only 22 stores in just eight U.S. states, Scheel's is a Category Killer when it comes to sports, hunting, and fishing merchandise. The Scheel's in Sparks, Nevada has a carnival-size Ferris wheel inside the store. But you don't need to have a giant footprint either. Consider Sunglass Hut. Each store—merely a gnat on the scale of store sizes—carries a wide-ranging assortment in a very narrow merchandise category. Even if you're a small to midsize retailer, you can develop a niche that makes you a destination location. There are a few things you do need, though. First is some diversification. Your profitability is at risk if you depend on a narrow product offering. Even a tiny Sunglass Hut carries accessories. Zappos now outfits the body above the feet, and Amazon will sell you shoes. Also, you must maintain the trust of shoppers that your store has expertise about your niche. In surveys conducted by Advertising Age/ARC, consumers in every age group from teenagers on up said that what was most important to them was brand trustworthiness. For retailers, your store is your brand. So are your staff experts in both the technical details and the fashion trends? That requires ongoing employee training. Do your ads and displays give valuable information to the shopper about the niche category, such as shopping tips? Is the merchandise arranged to prove you understand the important features that distinguish one product from another? Advocates are customers who praise you to others. You might think that if you increase the number of Advocates by, let's say, 10%, this would lead at best to about a 10% increase in sales. In reality, though, according to research reported in Harvard Business Review, the effect of creating new Advocates is much greater than that. You create Advocates by maintaining a welcoming shopping environment where your customers love to be. The result is that Advocates spend more time with you, and this makes it more likely they'll buy more products. Advocates are people who appreciate you and your staff for meeting their service expectations. Advocates want your business to succeed. If they see something they know they could buy at another store or website for a bit less, they still prefer to give their money to you. Advocates want to help you out. They'll tell family and friends, and even shoppers they come across in your store or in competing stores, what a good job you do. If they hear criticisms of your business, they want to reassure themselves they're right in their feelings, so they'll talk down the criticisms. It's no surprise then, that when you increase the number of Advocates by the 10%, you can easily realize a much greater increase in sales. In the before-and-after chart at the top of this posting, the gold bars plot the number of Advocates the retailer has created and the green bars plot the retailer's sales per square foot. Have I convinced you of the value of developing more Advocates? Then now is the time to start pumping it up with your staff! When you watch shoppers entering your store—or track their browsing patterns on your website—do you notice how some of them are clearly on a mission? They go right for a particular item and, if the value is right, they want to buy the item as soon as possible. Other shoppers love to look through the possibilities. Even if they've a specific item in mind, they enjoy digesting the alternatives. Are men more likely to be Mission Shoppers and women more likely to be Possibilities Shoppers? Yes, at least when it comes to clothes, according to some Stanford University researchers. In general, men come for clothes out of necessity, and when they do bullet on in, it's with a targeted purpose in mind. On the other hand, women are more likely to circulate around so they can socialize, analyze, and discover what's new. Be grateful for your Mission Shoppers. They're spending money with you, and they don't waste your time. But also move Mission Shoppers towards being Possibilities Shoppers. This helps improve your profitability because the longer the shopper spends with you, the greater the chances you'll make a bigger sale. The Possibilities Shopper buys more items and is more likely to upgrade to higher-quality items. Do your store/website displays and merchandise arrangements encourage browsing and upgrading? Are your store aisles wide enough for customers to stand in front of the merchandise without getting in the way of other shoppers? Are your staff strong in recognizing the difference between a Mission Shopper and a Possibilities Shopper so each shopper's needs can be met superbly? Rounding prices up to just below the next whole dollar can give you extra profit on overall sales. You'd have to look long and hard to find a customer who will buy when the cost is $19.95, but won't buy when the cost is $19.99. So be sure that the prices on your bin tags and price tags end in $.99, not $.95. But don't go even one penny higher. When a customer is considering how expensive it would be to purchase a particular category of product (like a drill, a baseball bat, or a dress), they’ll sense the just-below price (such as $1.99 or $29.99) to be significantly lower than the price that is just one penny more. Also use just-below prices in ads for products where you are not including good-better-best choices. When your shopper leaves with a gripe, they'll spread the news. A survey conducted by a U.S. government consumer affairs office found that, on average, an unhappy store customer tells at least nine other people what happened. And as long as they are telling, the former shoppers often exaggerate how bad it all was. Be sure that some of those people the shoppers tell are you or your staff. Then you can take action, and that's the "lemons into fine lemonade" part of the story: Customers who see action when they complain become even MORE LOYAL than customers who never had a complaint. How are you learning about customer complaints, and how do you make sure that the customer knows their complaint has been addressed? Are your sales staff thanking customers for their business and then listening for comments? Are your cashiers asking customers if they were able to find everything they wanted? Are your supervisors watching for signs of customer dissatisfaction, such as an angry look? When a customer is unhappy, do your staff ask, 'What can I do to make it right?,' and then come as close as reasonable to doing what the customer asks for? A pet shop owner says, "When my interview of the family shows me a particular puppy would be a good match for them, but they're not sure, I say, 'Take the puppy home with you for a day or two. If it doesn't work out, just bring the puppy and all the supplies back for a full refund.' Over the years, I have never had a puppy returned. Once they hug that dog and think of it as their own, they are sold." Getting the customer in touch works wonders with all sorts of items beyond dogs. Researchers from UCLA and the University of Wisconsin-Madison found that having the undecided customer hold a product makes the customer much more likely to end up buying it. Not only that, but the customer becomes more willing to pay a higher price for the product. One warning, though: The researchers found that if a product is unpleasant to touch, a feel doesn't result in a feeling to buy. So check whether the merchandise you stock is actually nice to hold. If it isn't, be sure at least the packaging is. Then I'd ask, "Do your sales staff encourage customers to get their hands on the products they're shopping for?" Those gears on the RIM logo represent how the different elements of retailing work together to drive profitability. Also let those gears remind you to learn about what's happening with other retailers in your neighborhood—even, or often especially, the retailers who sell the same product lines as you. 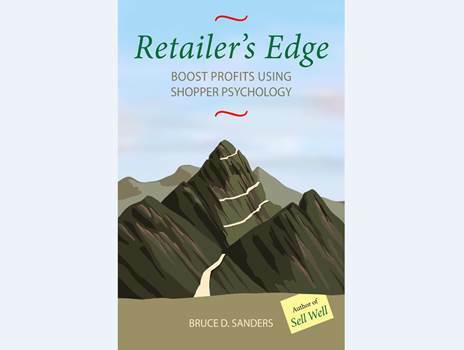 How often do you visit with other retailers to discover what you can learn from them and how your business might benefit when you help those other retailers by using your strengths? Do you regularly carve time from your nonstop schedule to visit the competition to see what you offer that they don't? When you spot those products and services, do you tell the floor staff how pleased you'd be to get referrals? How many of the stores you've seen as competitors can also be seen as teammates? When a fellow retailing professional recognizes that you've taken the time to become familiar with what they take pride in offering to the community, they're often much happier to refer a customer to you instead of saying, "I don't know where you can get that specific product or service." Each day, use the opportunities for teamwork as you get in gear for profitability.